PALO ALTO, Calif.–(BUSINESS WIRE)–Fanplayr, the leader in targeted, real-time e-commerce offers, today announced an upgrade from Bronze to Gold Industry Partner status with Magento, a division of X.commerce, an eBay Inc. company, the leading e-commerce platform designed to empower online merchants and help their businesses grow. 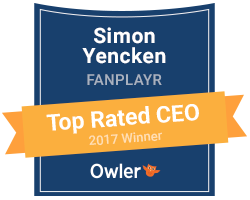 This venture gives Magento Enterprise merchants access to Fanplayr’s Smart & Targeted Conversions, a unique performance-based platform that intelligently analyzes visitor traffic to determine those who are most likely to convert to customers with personalized purchase offers and incentives. It determines the optimal timing, value and target for purchase incentives and delivers those incentives in real time, leading to improved visitor conversion rates and increased average order values.